Official says 2019 Eurovision Song Contest most likely going to be held in Tel Aviv and not in Jerusalem. The 2019 Eurovision Song Contest is most likely going to be held at the Tel Aviv Fairgrounds and not in Jerusalem, a senior Finance Ministry official said on Sunday, according to a report in Haaretz. The official noted that the fairgrounds’ Pavilion 2 was the only site in the country that meets all of the contest’s production requirements. The Kan broadcasting company, Israel’s public broadcaster which will be responsible for producing the event, is currently negotiating with the treasury over the event’s budget, which is expected to be between 60 million to 80 million shekels ($16.6 million to $22.1 million). The next step will be to solicit bids to host the event, and while various cities are expected to bid, it isn’t clear that Jerusalem will be one of them. Israel won the 2018 Eurovision contest, which took place in Lisbon on May 19, with the song “Toy” sung by Netta Barzilai. The Eurovision schedule includes a month of rehearsals. There must also be a huge recreation area set up for fans who could not get tickets that must operate for an entire week. All this, said a treasury source on Sunday, will make it difficult to hold the event in Jerusalem. The source added that Nir Barkat’s resignation as mayor will also make it difficult for the municipality to submit a suitable bid. 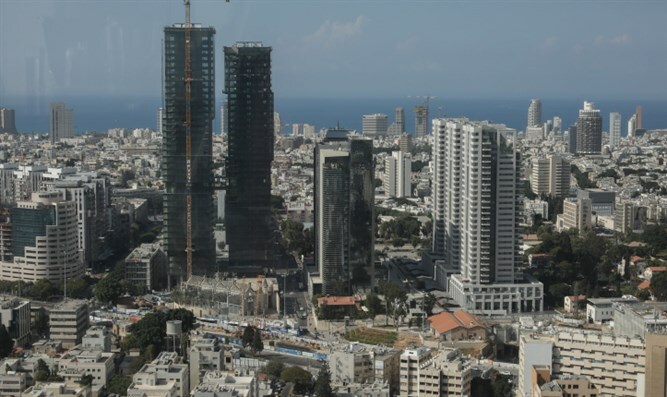 The Finance Ministry believes Pavilion 2 in Tel Aviv is the only site that meets the organizational and political requirements of the event. The pavilion, completed in 2015, was built at an investment of almost 400 million shekels. It was designed to accommodate large events, and backdrops can be built for an event the size of Eurovision. Holding the event at the Sammy Ofer Stadium in Haifa is also being considered, according to Haaretz, but the production schedule conflicts with the soccer season and the game schedules of Maccabi Haifa and Hapoel Haifa. The Eurovision finale is expected to take place on May 17 or 24, after Memorial Day and Independence Day. The report comes after Culture and Sport Minister Miri Regev reportedly threatened recently that if the Eurovision contest is not held in Jerusalem, she will work to ensure that it is not held in Israel altogether. The Israeli government, however, has made clear that it will not interfere in the 2019 Eurovision song contest, including the process of selecting which Israeli city will host the contest. The government said it will not insist that the competition be held in Jerusalem. Earlier this month, Haaretz reported that Israeli sources involved in the production of the event said senior officials from the European Broadcasting Union (EBU) were reluctant to hold next year’s contest in Jerusalem, fearing that political disputes would undermine the competition’s brand. Sources familiar with the meetings said the EBU members asked for a detailed offer, but it was understood from their remarks that they didn’t see a suitable venue for the event in Jerusalem.